Watson is struggling with his decision to return to 221b Baker Street after the death of his wife, Mary Morstan. The offer by Doctor Verner is tempting, but the house and medical practice hold strong memories. Watson is asked by a friend named Theobald Crain, the son of the Marquess of Berkley to come to Crain Manor for a visit. Crain knows of Watson’s recent bereavement, being Mary’s friend as well. Crain writes that he is convinced a certain Madame Farr, a spirit medium, is the real thing. He claims to have been in contact with his deceased mother, and the peace he has discovered through spiritualism he hopes to share with Watson. He hints that Watson may make contact with Mary through Madame Farr. Now history tells us of Sir Arthur Conan Doyle’s belief in spiritualism. It wouldn’t be unusual at all for him to have written an adventure in which spiritualism would play a major role. Yet although Doyle himself wrote about the “no ghosts need apply” I think he would have wanted Holmes to prove spiritualism—not the other way around. 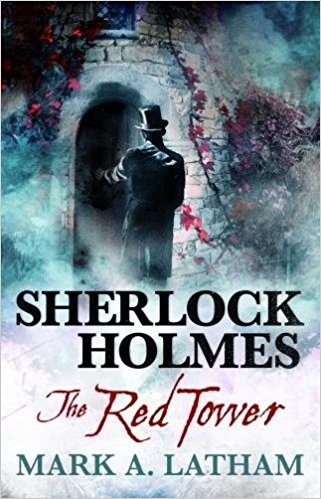 That said, if you are not a Holmes purist, the book is a great read. The pace is sometimes frantic. There are a dozen and one false leads, the character interaction is superb, and the final reveal of the case well thought out. After the reveal, one can easily go back through and see the tantalizing clues that Latham has spread throughout, but you may not see them on the way through. Like a magician, Latham uses misdirection and verbal smoke and mirrors to great effect. I really liked this one! I give the book five stars!